The first block of Lowrys Lane near the Garrett Hill NHSL station. Officials are investigating after two women were found dead in the Bryn Mawr section of Radnor Township on Monday night. The women were in a twin home on the first block of Lowry Lane, only several blocks from Villanova University. Police Superintendent William Colarulo told Main Line Media News that both women appeared to suffer gunshot wounds in what’s being described as an extensive crime scene close to the Garrett Hill station of the Norristown High-Speed Line. Delaware County CID, Radnor Detectives, and Radnor police are investigating the incident as a murder-suicide. Police were reportedly called to the area around 7:05 p.m. Monday and blocked off areas surrounding the Garrett Hill station. 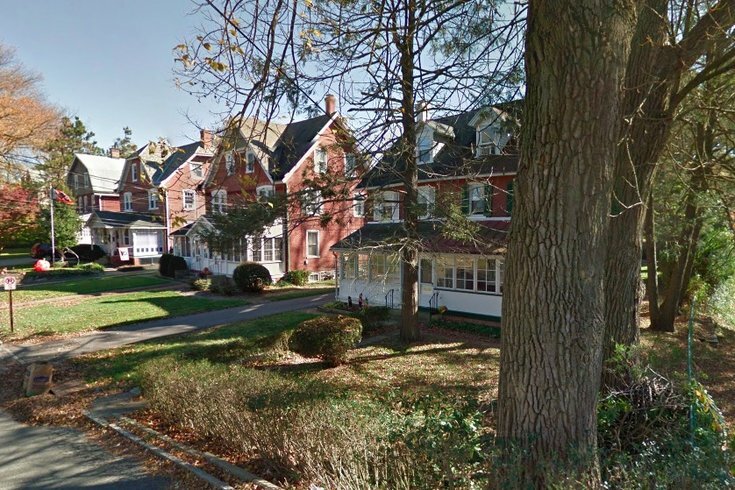 One neighbor told Main Line Media News that the women had just recently moved to the street. Investigators collected evidence for several hours while wearing protective suits. No further information about the victims has been released.